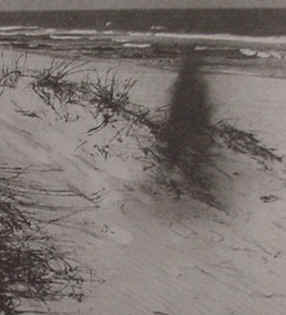 Historical ghost stories abound in South Carolina, but one of the oldest and most famous is the story of the Gray Man of Pawleys Island, a coastal community in Georgetown County. Several versions of this story exist, but all say the apparition appears before major storms to warn the island’s inhabitants of approaching danger. “This was something that happened to me when I was 12 or 13 years old. Believe it if you want but this is my experience, so here you go. So my family likes to vacation in Pawley's Island, South Carolina. It's a little town slightly south of Myrtle Beach. We usually stayed at the campground at a place called Huntington Beach State Park. I still tend to go to it a lot. It's a really cool, relaxing beach environment. One of the things we liked to do as a family is go walking on the beach pretty late at night around 11 or midnight. I remember the moon was really bright that night. The beach was pretty well lit. And as we were walking back, I remember looking out at the ocean, like right at the shore, and I saw a man with a straw hat on. He was maybe ankle deep in the water. He was just kinda looking out into the water. It was just mainly a silhouette. It was dark and the moon was kind of back-lighting him or whatever and I remember he looked in our direction and kind of put his hand up, it wasn't like a full wave, but it was an acknowledgement that he saw us there. Me being my socially awkward self, I kind of gave him a little half wave back and looked away to my parents. But then I looked back and it almost seemed like he was fading away. I know it sounds cliche or whatever but it was like my eyes had the burned-in image of him standing there and when I looked back he just kind of dissipated. Of course me being interested in 'Ghost Hunters' and 'Ghost Whisperer' and stuff like that, I was like, Oh my god, did I just see a ghost? So, after that, we headed back to the campsite and just went to bed for the night. I remember it was really, really stormy and the wind was crazy and stuff. We were in an RV and the wind was really crazy against it. I could hear terrible rain; lightning, thunder and, you know, the whole shebang. The next morning when we woke up and went outside to the campground. It was like a disaster zone. There were chairs, beach towels; awnings of the campers were like completely torn off, or halfway off, the camper. It was pretty bad. What was weird was we had a clothesline that was hooked to the back of our camper to a tree right behind it and our clothes were still on the clothesline and all of our camp chairs were still there, all of our towels were still where we left them. Nothing had been touched at all and it was really weird. I remember at the time thinking, Wow, this is really weird. We just got lucky or, I don't know. It wasn't until a couple of weeks later my aunt came to visit and she brought a book of local ghost stories and I hadn't really looked into too much local lore so I thought that was pretty cool. 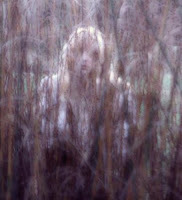 My dad brought up the fact that I saw this ghost on Pawley's Island and I remember her eyes got really wide and I wasn't really sure why. I thought maybe she was acting along, like, Oh, you know, ghosts or whatever, but then she said, 'Have you heard of the Grey Man?' And both my dad and I were like, 'No, never heard of it.' So she grabbed the book and opened it up to a chapter and there it was called The Grey Man of Pawley's Island. She started asking me a series of questions like, What was he wearing? I said that I remember he had like a large hat on and like an overcoat or some kind of big jacket. Then the thing that really sent chills down my spine was she said, 'Was there any kind of storm afterwards?' And I was like, 'Whoa!' And she started saying, 'Oh my gosh, oh my gosh!' I didn't know what was going on. Part of the legend is, and I kid you not, I read it in the book and I’ve seen it on the web all over. The legend is the spirit often shows up before a storm or a hurricane to warn you that if you are on the water to get out of the water or if you are on land, to evacuate the area. Part of the legend says if you see him, he will offer protection for you and your property during the storm. Of course I had never heard this story before so seeing it in the book at the time. I was seriously freaked out. I'm really skeptical about a lot of the things I see now but I have absolutely no explanation for this having never heard this story before and so many elements of it lining up so perfectly. I'm not gonna try to explain it and say it was definitely a ghost but this definitely makes me believe that there is something else out there. The oldest version begins with a young woman from Colonial Charleston, the daughter of a prominent family. She had many suitors, but would not choose among them because she was in love with her wild and reckless cousin. Both sets of parents objected to the match and discouraged it by sending the young man to Europe. News soon arrived from France of his death in a duel. Brokenhearted, the young woman went into mourning, refusing to see suitors or other callers. A year later, a young wealthy rice planter from the Waccamaw area visited the family. A recent widower, he fell in love at first sight with the still grief-stricken girl and sought her father’s permission to court her. The father agreed, but told the young man the sad story of her previous romance. Eventually, the young planter won her hand and the couple married. The newlyweds wintered on a large estate on Waccamaw Neck and summered on Pawleys Island. During the Revolution the planter served as a captain under Francis Marion. While away fighting the British in the summer of 1778, his family moved to the summer home on Pawleys Island. One evening, a violent storm foundered a ship off shore. The slaves saw one survivor stumble out of the surf. The slaves told him their master was away, but that the mistress would provide him with shelter until the end of the storm. They took him to the summer house and gave the stranger food and dry clothes. When the mistress of the house came to greet him, she fainted. The mysterious stranger cried out and ran from the house, disappearing into the storm. He was her lost love thought dead many years before. It was later learned he died of yellow fever and exposure while trying to find his way south to Charleston. It is said he still haunts the island in the vicinity of this old house, a shadowy "Gray Man" warning islanders of storms and the perils they bring. 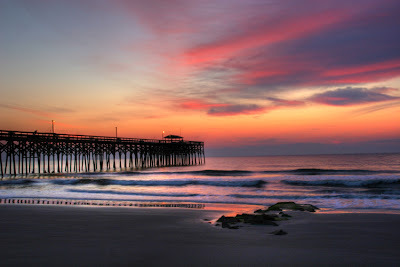 Pawleys Island sits along the coast and is home to small cottage homes, inns, and one very famous spirit. The story is always the same - the Gray Man warns residents to flee the island from an impending hurricane. The legend tells a tragic love story. A young man returning from a long absence was eager to see his fiancee. He rode on horseback from Georgetown, SC to Pawleys Island. The young man was so eager to see his beloved young girl that he decided not to follow the road, but take a short-cut across the marsh. In this untraveled marsh the young man’s horse fell in quicksand, both horse and rider were killed. The young girl was devastated and began to forlornly walk the beach, mourning her lover. One windy summer day, she saw a man dressed all in gray approach her and recognized him as her dead fiance. He told her to get off the island immediately because there was danger. Without another word, he vanished. The young woman told her parents what she had seen and they fled to the mainland. That night the hurricane came ashore destroying nearly every home on the island. The home of the young woman was left somehow untouched by the storm as though it had been protected by an unseen force. 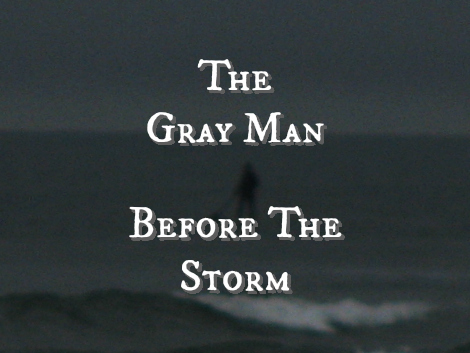 The first recorded sighting of the Gray Man is from the hurricane of 1822 that hit Charleston and caused over 300 deaths on the outlying islands. In 1893 the Gray Man appeared to the Lachicotte family. He was silent, but his meaning was clear. The family fled the island and survived the storm. This hurricane, called the Sea Islands Hurricane, killed an estimated 1,500 people and Lachicotte’s surely would have been part of that tragic number. October 1954 found Bill Collins and his new bride honeymooning on the island. Around 5 AM Bill heard a knock at their door. Too early to be anything unimportant, Bill answered the door. Before him stood a man in rumpled gray clothing and a gray hat which hid his features. He said that the Red Cross had sent him to tell them to leave because a big storm was coming. Bill could smell salty brine on the man’s clothing and heard the urgency in his voice. Suddenly the man in gray disappeared leaving Bill stunned and shaken. Bill and his new wife left the island and Hurricane Hazel struck soon after as a Category 4 storm. Hazel eventually killed 95 people and destroyed 15,000 homes. September 19, 1989 residents of Pawleys Island, Clara and Jack Moore were walking along the beach. They saw a man dressed all in gray suddenly appear among the dunes. He approached them, then vanished. This was warning enough for Clara. She and Jack packed bags and fled inland. Two days later Hurricane Hugo struck the coast as a Category 4 storm killing 76 people along its path and causing $10 Billion in damage. One version of the story is that a plantation owner's daughter was spending the summer on the island, and awaiting the arrival of her fiancé. He returned safely, but, when he was taking a shortcut, his horse fell into quicksand. They both died. She was devastated and began to walk the beach. One wind-filled day, she saw a man in grey approach her and recognized him as her dead fiancé. She ran to him, but before she could reach him, the ocean swept him away. When her father learned about this, he took her to a hospital in Charleston. She was found to be sane. The next day, a hurricane hit the island, leaving death and destruction in its path. Another version is that when she saw him, he told her to get off of the island immediately because there was danger. Then, he vanished. When she told her parents, they left the island the following morning. She was a sensible woman and did not have flights of imagination. That night, the hurricane hit. While most of the island's homes were destroyed, theirs was untouched. Another version is that he is the ghost of Plowden Charles Jeannerette Weston, the original owner of the house on the island, the Pelican Inn. He was born in 1819 and schooled in England where the family moved temporarily so he could have a decent education. After the rest of the family returned to the island, Plowden stayed in England to attend Cambridge. He fell in love with Emily Frances Esdaile, one of his close friend's sisters. Mr. Weston was staunchly anti-British and disdained royalty. Emily's father was a baronet. Plowden was afraid that his father would not approve of the marriage, so he sailed to Georgetown to tell him about the marriage plans. His father agreed to the marriage. Emily's father gave the couple a dowry of 7,000 pounds. Plowden's father gave them a dowry of 70,000 pounds and houses in London and Geneva. The couple married in 1847. They lived at Hagley Plantation, another gift from Plowden's father. 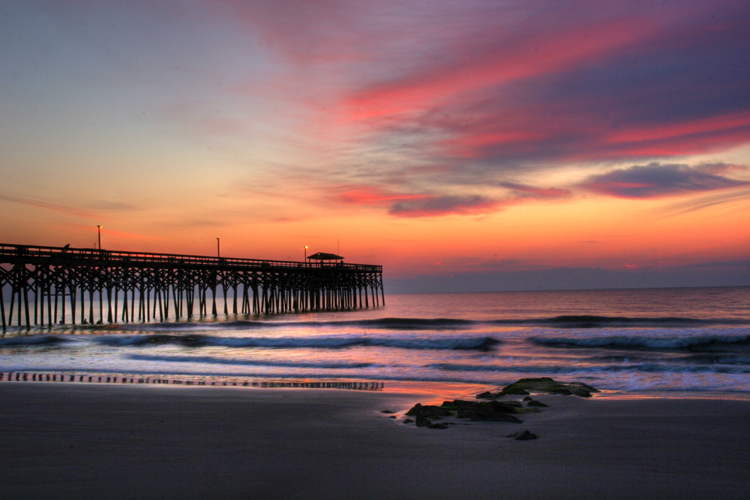 Off of the shore was Pawleys Island and the couple made plans to build a summer home there. This was when Pelican Inn was built. They built a chapel on the land that could seat two hundred slaves. In 1849 Dr. Allard Flagg moved into his new home, The Hermitage, on Murrells Inlet, South Carolina. He soon invited his widowed mother and 16-year-old sister, Alice, to live with him. Alice Flagg was a beautiful young girl with long, thick auburn hair and bright brown eyes. Dr. Allard Flagg and Alice’s other brother, Dr. Arthur were affluent doctors courting sisters of perhaps the most wealthy and upper-class family in the lowcountry. While on a shopping trip in town Alice met a young lumberman and over the next few months they fell deeply in love. The young man came to call on Miss Alice at The Hermitage one day but was met by Dr. Flagg in the garden. After speaking with the man for some time Dr. Flagg realized the man’s low station and qualities and sent him away before he could speak with Alice. Outraged by her brother’s treatment of her beau, Alice agreed to meet the man in secret and they soon became engaged. When Dr. Flagg saw the plain gold band on Alice’s finger he demanded Alice return it and forget about the young man. He wished her to find a young suitor who was of their social stature. Alice agreed to return the ring but instead hung it on a ribbon and secreted it around her neck beneath her dress. To help Alice forget her young man Dr. Flagg sent Alice away to boarding school in Charleston. Alice had loved Murrells Inlet and disliked everything about the elite, highborn society of Charleston. She refused to forget her love but reluctantly accepted her new surroundings, although never removed the young man’s ring hanging beneath her dress. Late one night Alice fell seriously ill. The physician concluded that she had contracted malaria and instructed the school to contact her family immediately. Dr. Flagg sped to Charleston in his carriage but found Alice in a delirious state. Despite the night being stormy, he packed her things and laid her in his carriage for the journey back to The Hermitage. When the girl was lifted from the carriage Dr. Flagg found that she was much worse. She drifted in and out of consciousness all night long, often clutching at her chest where she knew her young man’s ring still hung. By morning Alice could not fight the illness and she fell silent and died. Her body was dressed in her favorite long white dress, but when Dr. Flagg discovered the ring her removed the ribbon and threw it out onto the marsh. Alice was buried at All Saints Cemetery near Pawley’s Island. 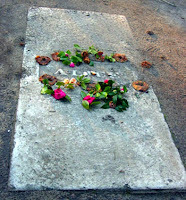 A plain marble slab covers her grave. The engraving on the stone consists of only one word - Alice. Although more than 150 years have passed, the ghost of Alice Flagg is still occasionally seen in her lovely white dress coming in and out of the front door of The Hermitage and walking the cemetery at All Saints Cemetery. Whether she’s seen at the house or the cemetery she’s always clutching one hand to her chest, hoping her ring will be returned.